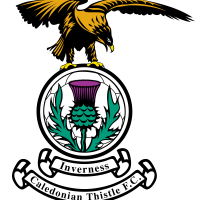 ICTFC drew their third successive game as Jordan White’s goal, just before the break, cancelled out Charlie Telfer’s opener for the Ton. Morton opened the scoring with the first real chance of the match, Mckay’s pass was intercepted by Oliver, who looked to use his arm but nothing was given by referee Craig Thomson, and the resulting move ended with Tidser teeing up Telfer for the opener after 10 minutes. Brad Mckay could’ve levelled on the 22nd minute mark but his effort was deflected wide for a corner. Aaron Doran had a couple of chances to level the game also, firstly he latched onto a great pass from Welsh but Ryan Scully was quick off his line. Doran was then played in by Welsh after a good pass from Rooney, but Scully was equal to his shot after 34 minutes. Jordan White had the Caley Jags level right on half-time, White latched onto a great ball from Coll Donaldson with a good run, turned in the box and finished past Scully for his third goal of the season. After the break Morton came out strong, Sean Welsh cleared a header from Michael Tidser off the line. Coll Donaldson was also called into action and he blocked Gary Oliver’s goal bound shot. Scully produced a wonderful save to prevent Daniel Mackay from putting the Caley Jags ahead late on. Calder played a low ball to Mackay just six yards out but a stunning save from Scully meant the score remained at 1-1. Scully was called into action again moments later, Welsh’s deflected cross fell to Austin unmarked in the box but his header was tipped over by the Morton keeper. The result keeps the Caley Jags 3rd in the table going into the international break and going into their next game against Dundee Utd in two weeks time. Morton: Scully, Kilday, Buchanan, Waddell, McKeowan, Telfer, Iredale (McHugh 85’), McAlister, Tidser, Tiffoney (MacLean 54’), Oliver.